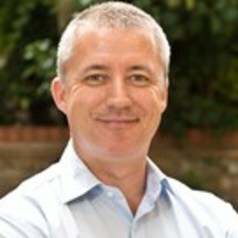 Stephen Webster is Director of Crime and Justice Research at NatCen Social Research. A Chartered Psychologist with the British Psychological Society, his career includes eight years as a Senior Research Psychologist for HM Prison Service. During this time he led the research, assessment and evaluation of HM Prison Service suite of sexual offender treatment programmes. To this end he has published over two-dozen peer-review journal articles involving sexual offender populations and presented research concerning sexual offenders at national and international conferences. Stephen joined NatCen in 2005 where he has continued to deliver mixed-method crime and justice research studies. This work includes RCT feasibility studies, a two year evaluation of innovative offender learning provision, leading the European Online Grooming Project for the European Commission, and work for the Cabinet Office about the August 2011 Riots in England. Stephen is also a peer reviewer for the Journal of Sexual Aggression, the ESRC peer review college, and member of the Risk Management Authority Research Advisory Board and UK Council for Child Internet Safety Evidence Group.